It’s one of the many problems war has brought to the world. Every year, when farmers throughout Europe and Southeast Asia put plows to their fields, they must be careful because the former battlefields are littered with rusted barbed wire, trench supports, and most dangerous of all, unexploded bombs and mustard gas shells. In Europe, it’s called the Iron Harvest, and hundreds of people are killed by uncovered, unexploded bombs every year. 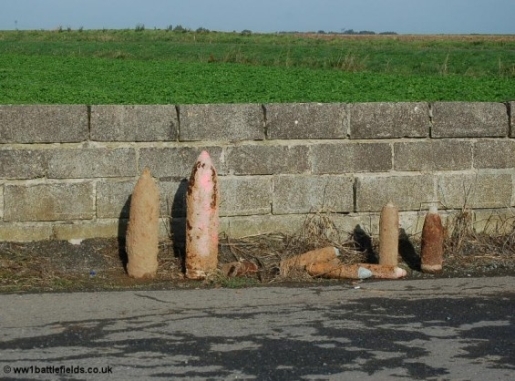 The unexploded bombs have killed 600 people since clean-up efforts started in the wake of World War II and, even now, new bombs are being discovered. Just last year, an unexploded aquatic mine was discovered off the coast of Dorset, England. Perhaps the most insidious of these discoveries are unexploded land mines. After all, unlike bombs, land mines are designed to stay hidden and explode from the pressure exerted by a person’s foot. That’s a truly frightening prospect. It’s amazing how many years the reminders of war can be found. Even now, around Civil War battlefields, farmers are still unearthing bullets (and selling them to tourists and history buffs). Fortunately, none of those are explosive in nature.